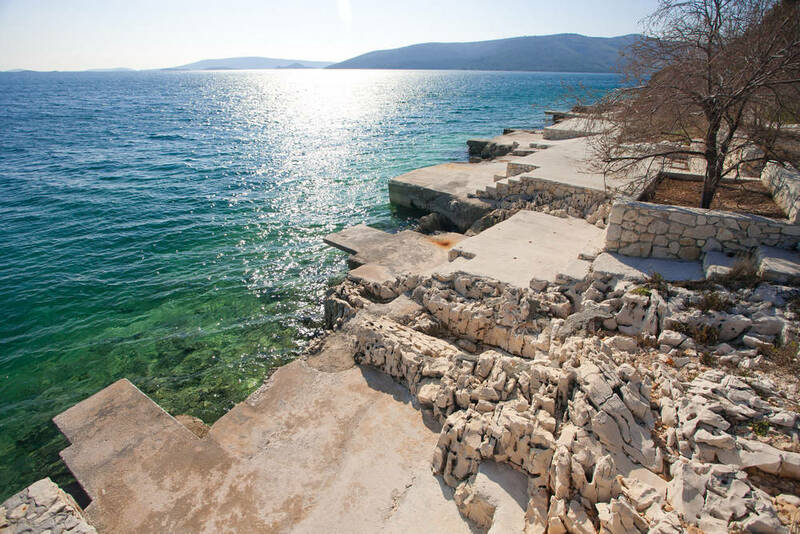 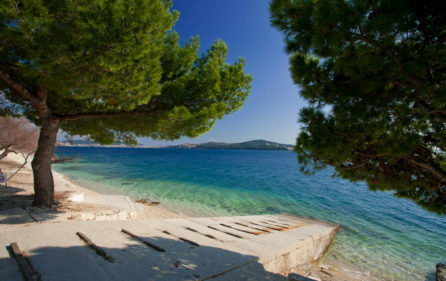 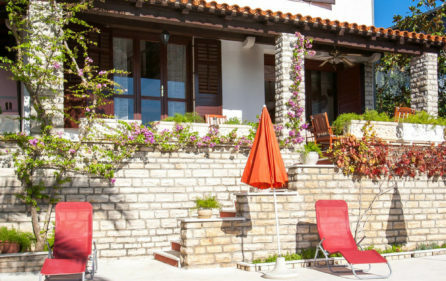 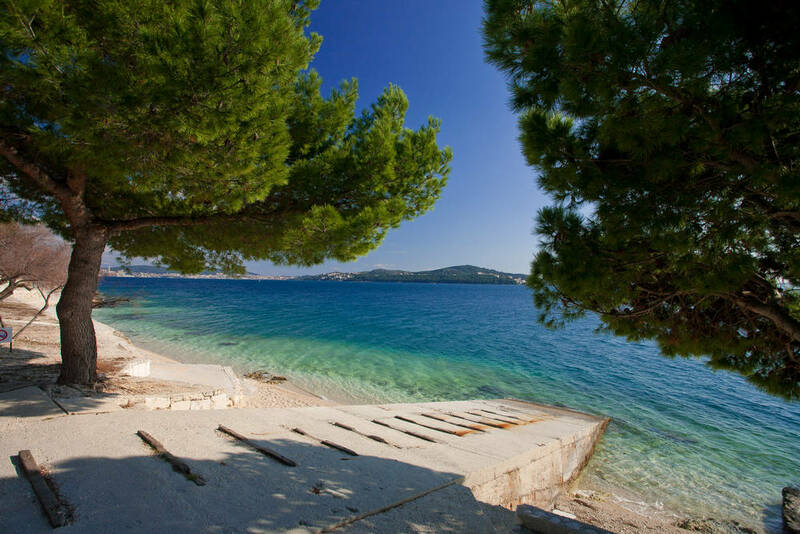 Holiday Villa with a pool, Trogir area is situated 5km from Trogir which is reachable by boat. 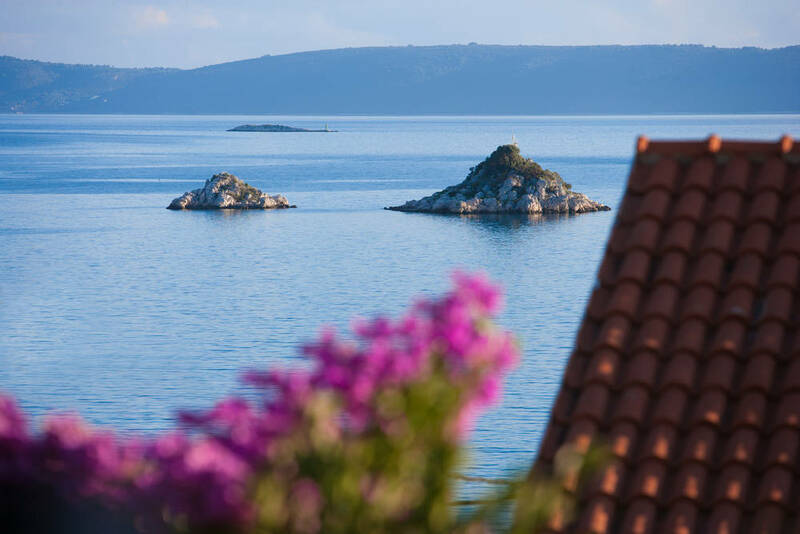 The boat departs from Seget Vranjica each hour. 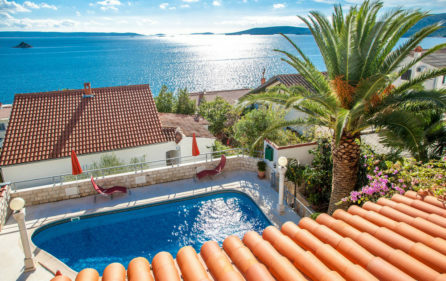 Trogir is an important medieval town with authentic architecture and many tourist-related attractions: ACI marina, harbor for exclusive yachts, historical buildings, rich offer of many legendary grilled fish food and renowned dalmatian wine. 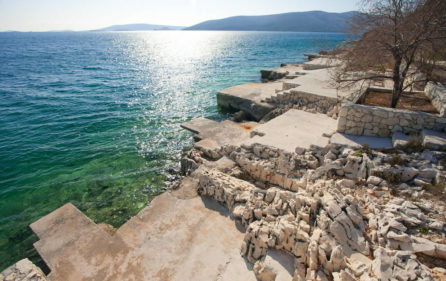 Trogir is connected with all European cities through airplane lines, sea faring companies and road network. 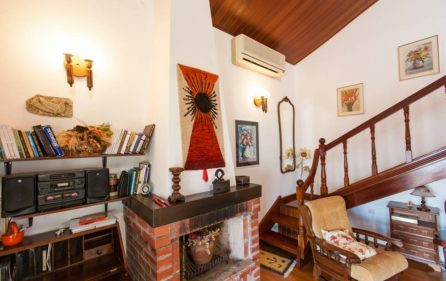 The airport is about 10 km away. 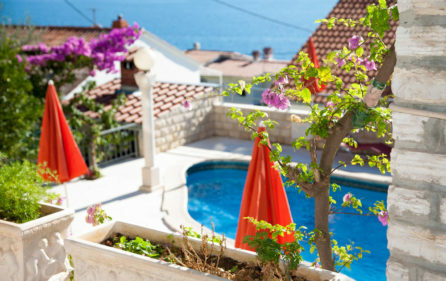 At the airport are rent-a-car agencies and taxi companies at your disposal. 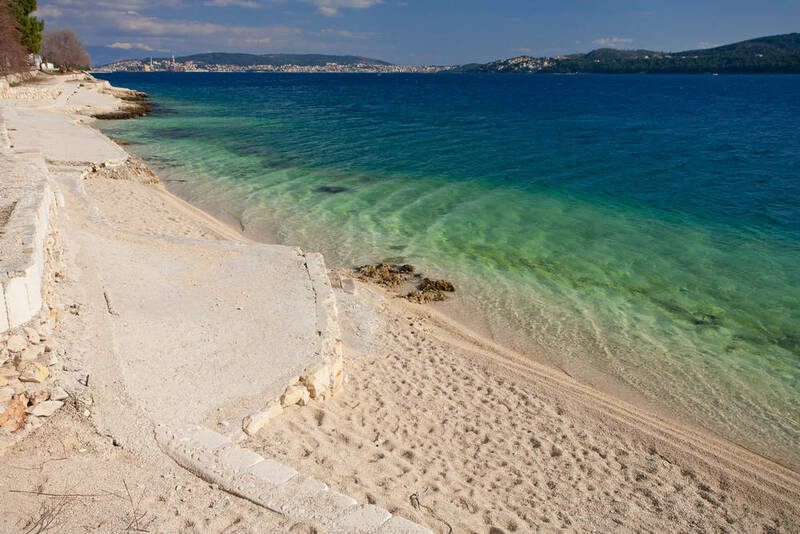 Split, the capital of the region Dalmatia, with it’s famous Diocletian’s palace, museums and rich cultural happenings (Split Summer Festival, drama plays, operas, balets, concerts), is about 30 km away. 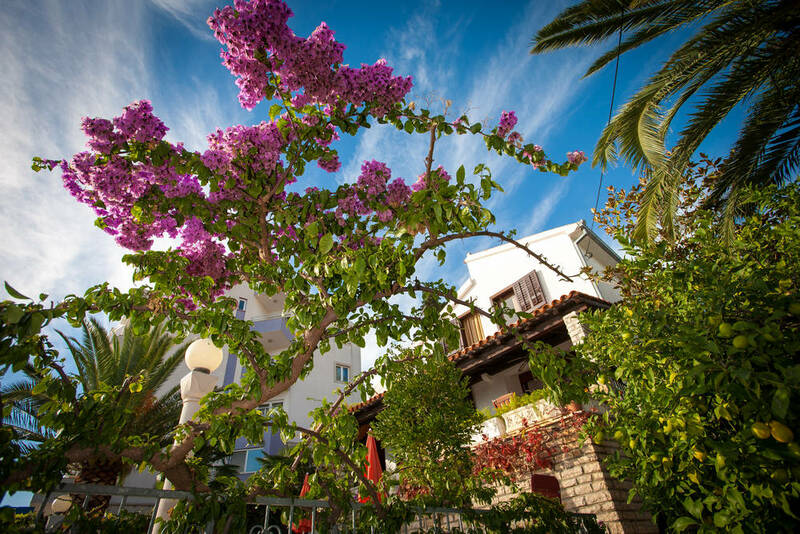 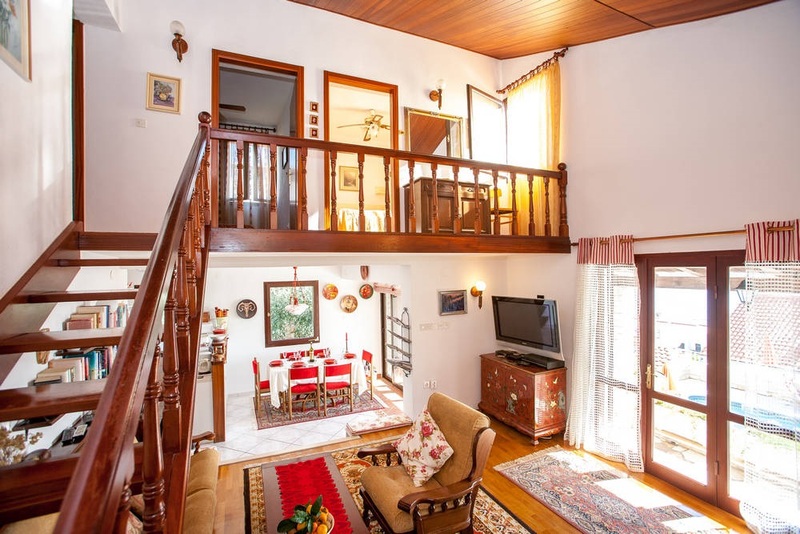 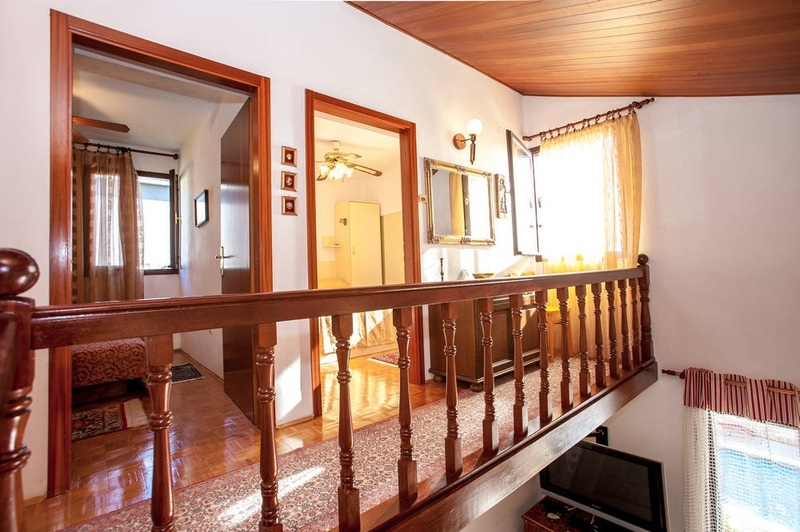 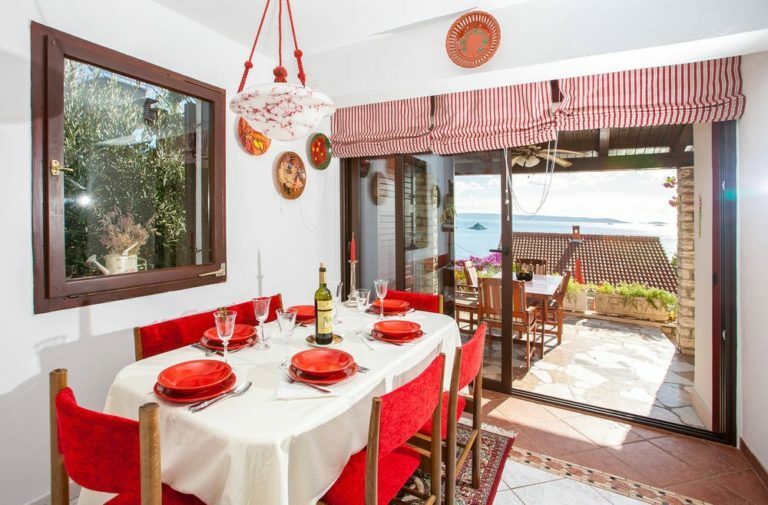 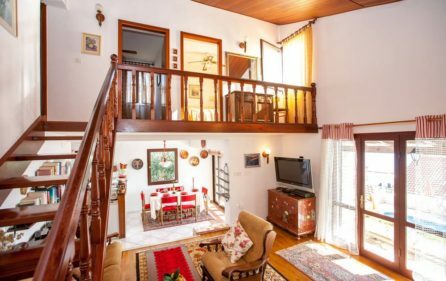 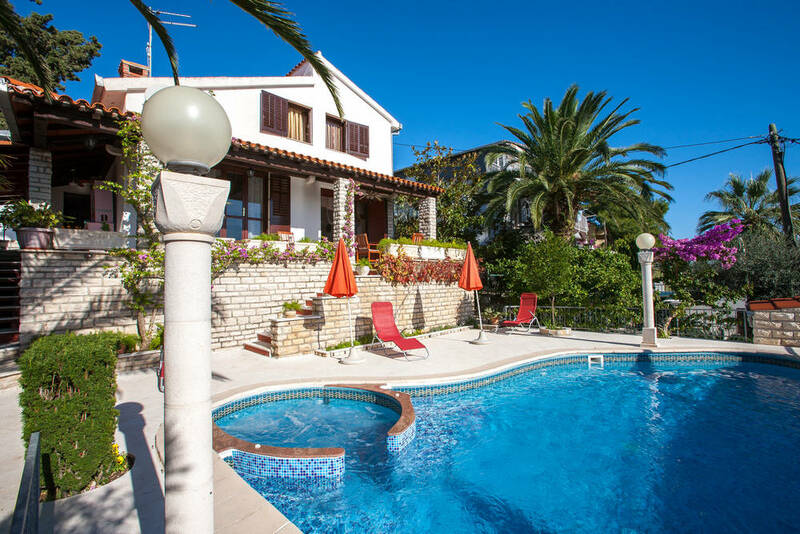 Villa is a detached house in which can sleep 6-7 guests and can only be rented as a whole. 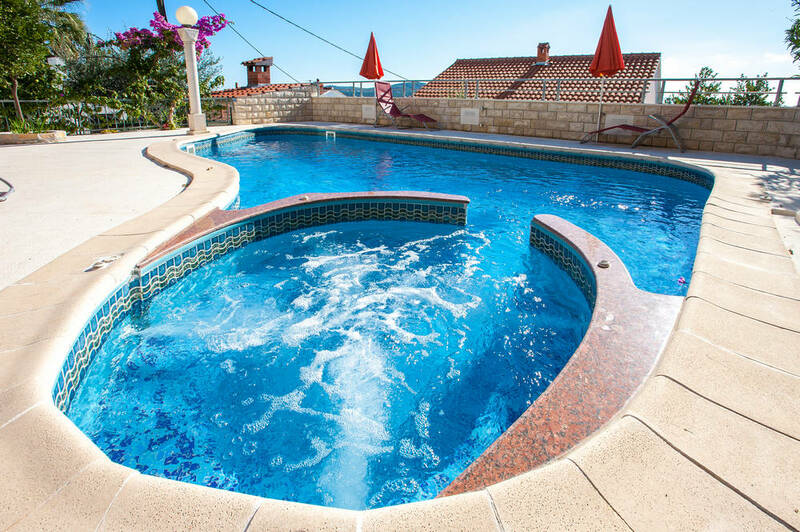 It has 4 bedrooms (three double and one single), big living room, kitchen with a dining room, wireless Internet access (Wi-Fi), LCD TV, Satellite TV, 2 full bathrooms and one half bathroom. 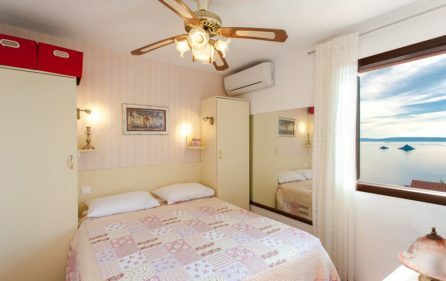 There is also a washing machine and all the housekeeping necessities. 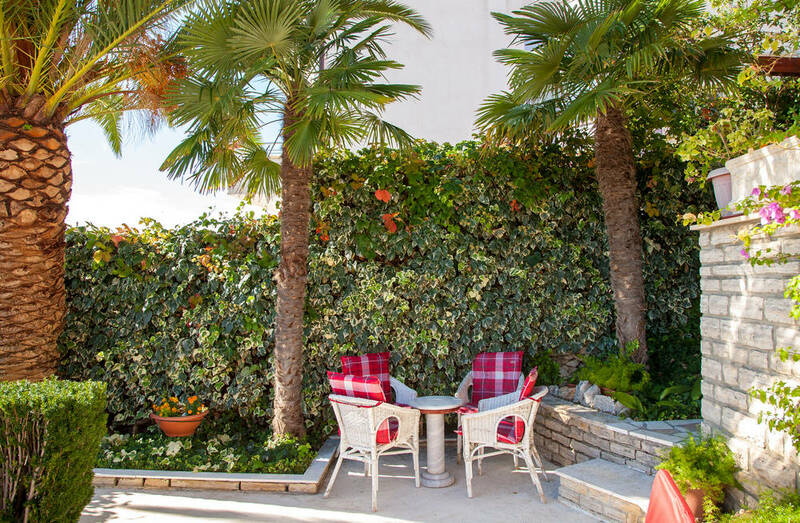 The dining room and living room has access to 2 spacious terraces which can also be used as an outdoor dining area. 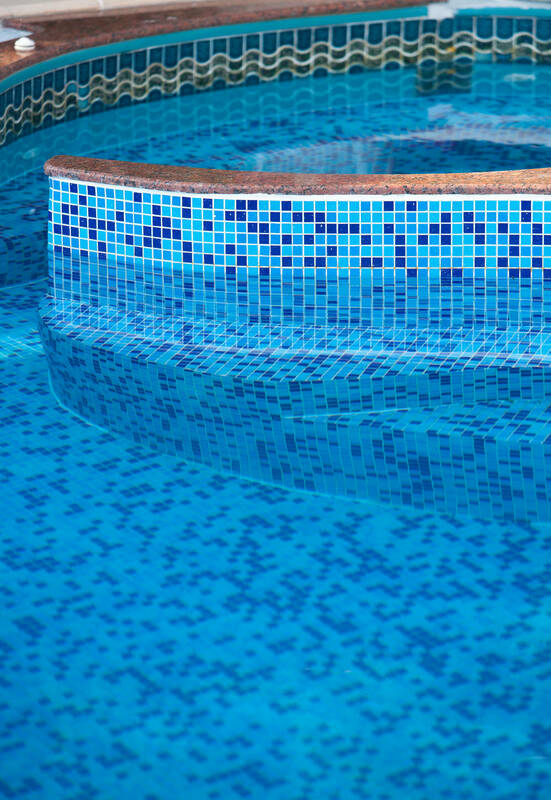 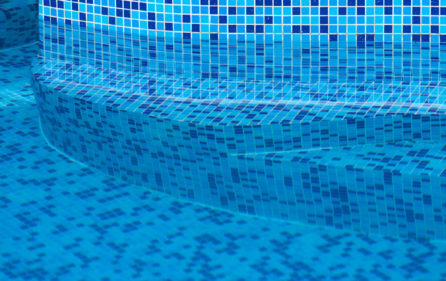 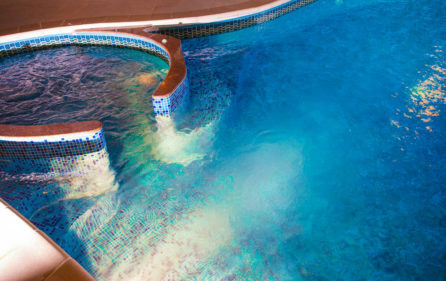 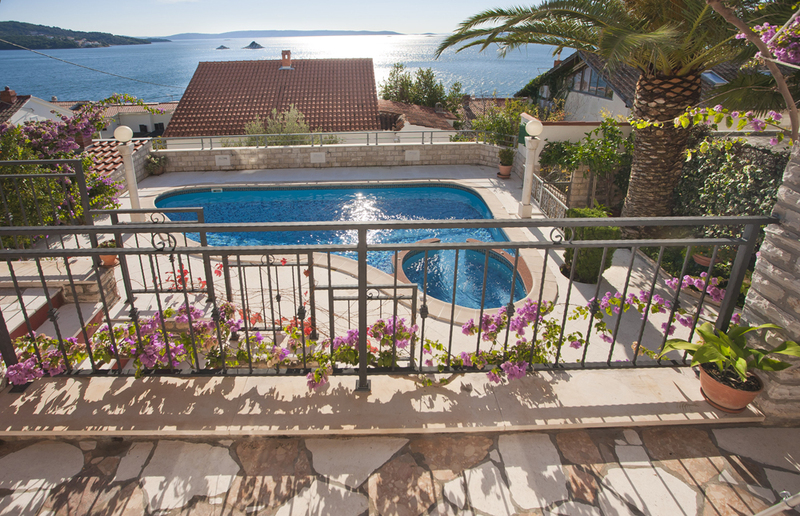 Pool is situated right next to the terraces and has dimensions 8 x 5 meters. 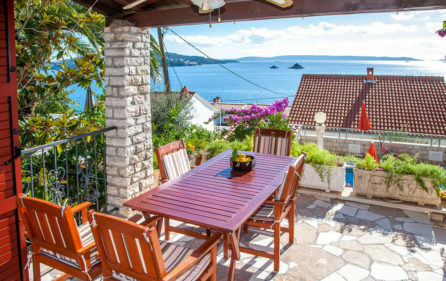 This area offers a beautiful view on 22 islands (view recognized by UNESCO) and the sea is only 80 meters from the villa. 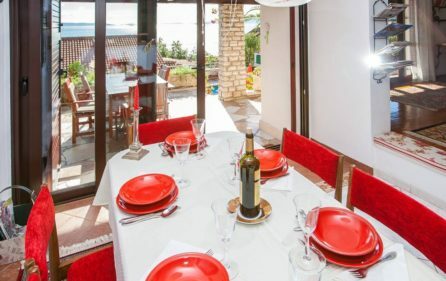 A pier for one boat is also available for guests. 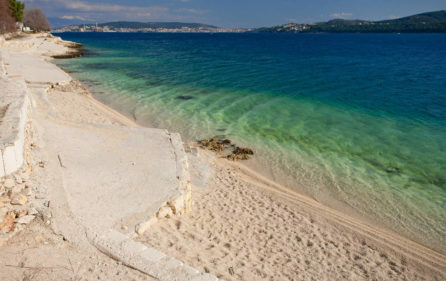 Jet-skis are also available for rent on the beach. 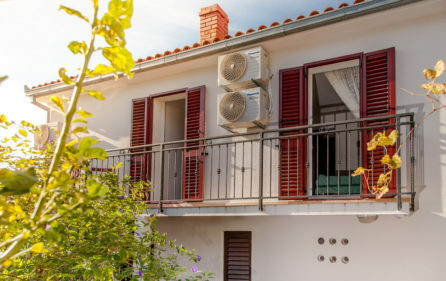 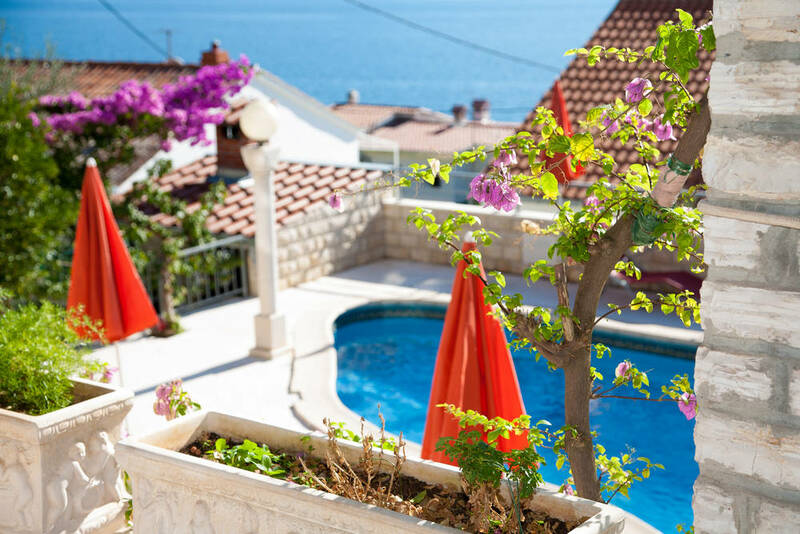 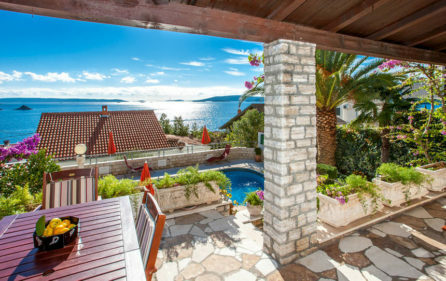 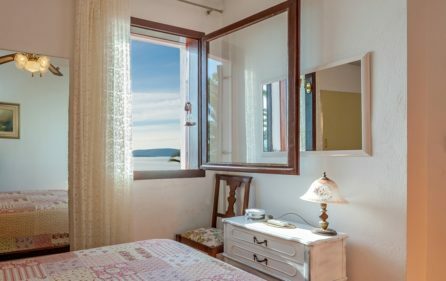 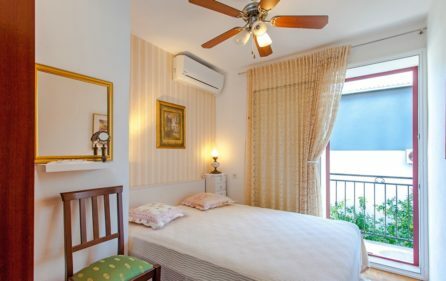 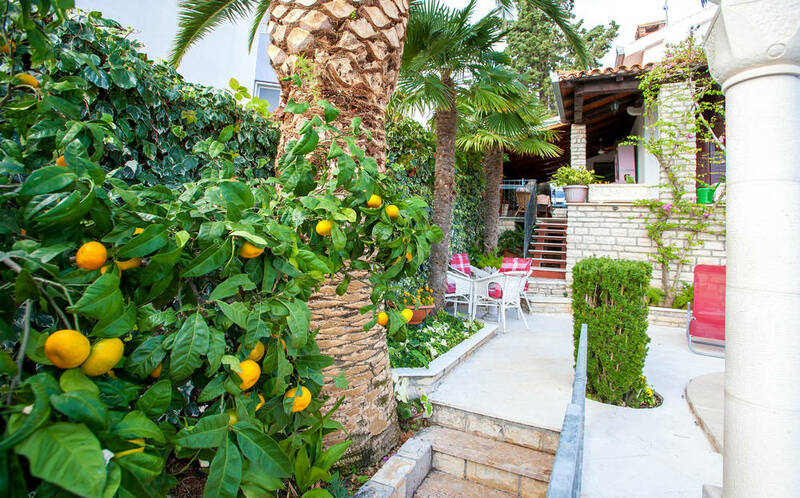 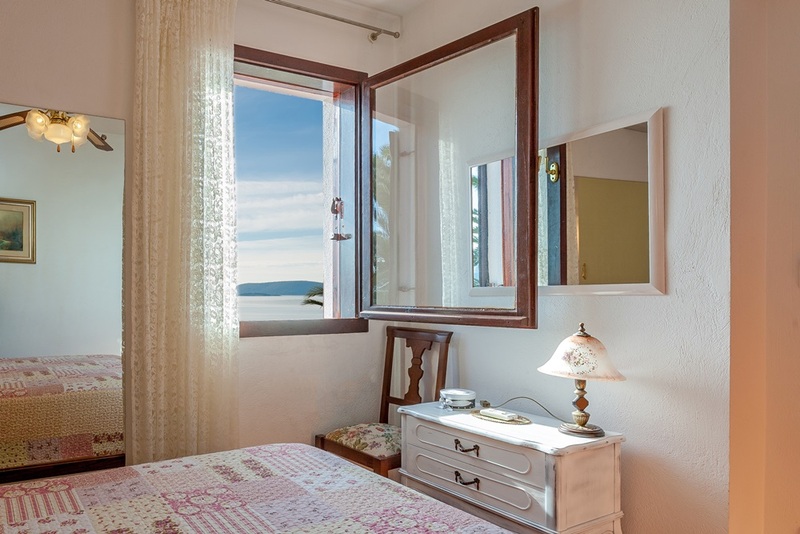 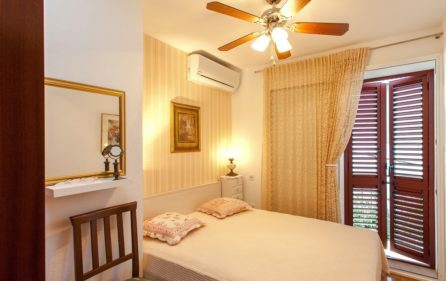 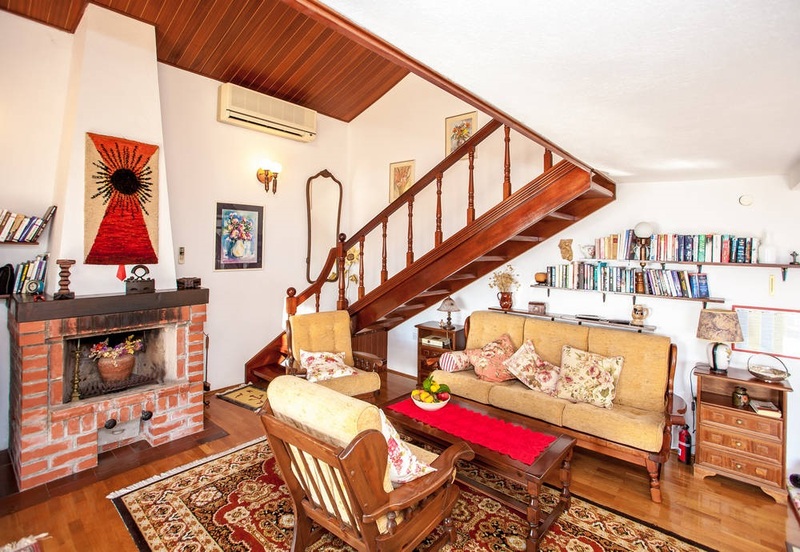 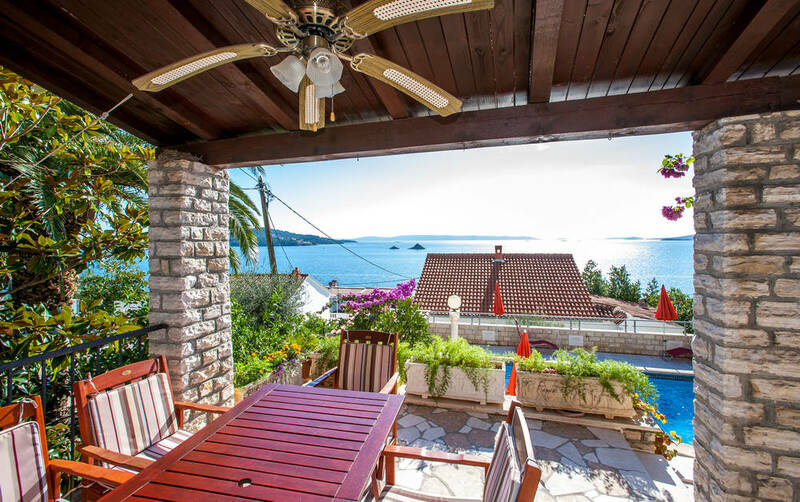 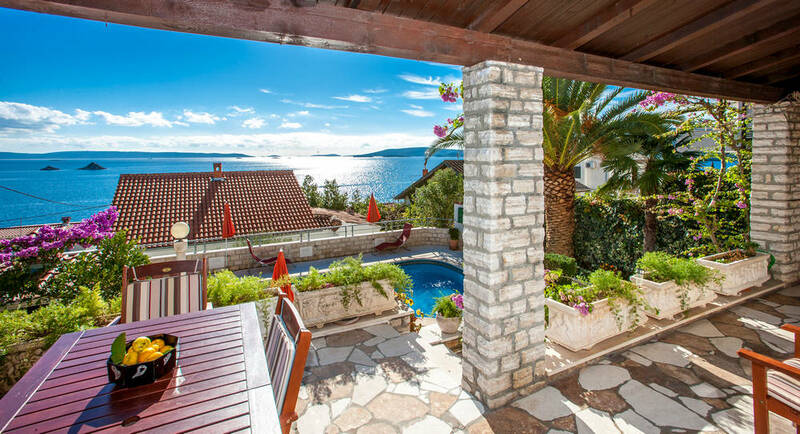 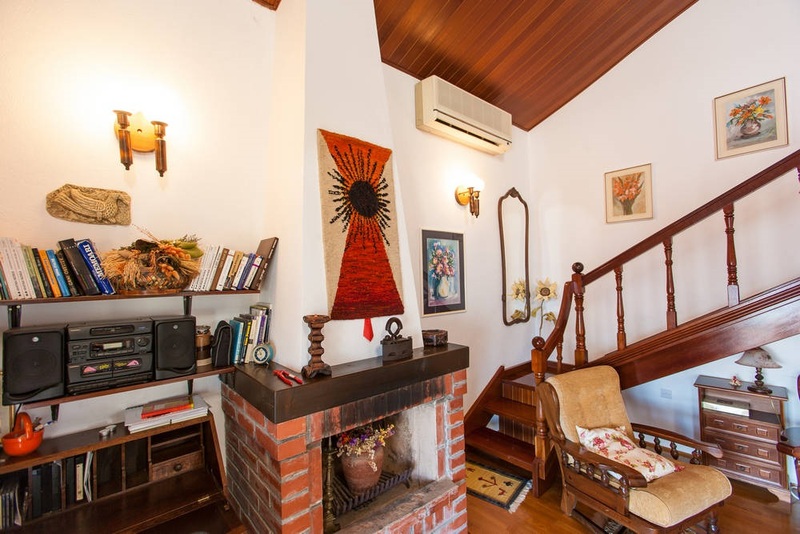 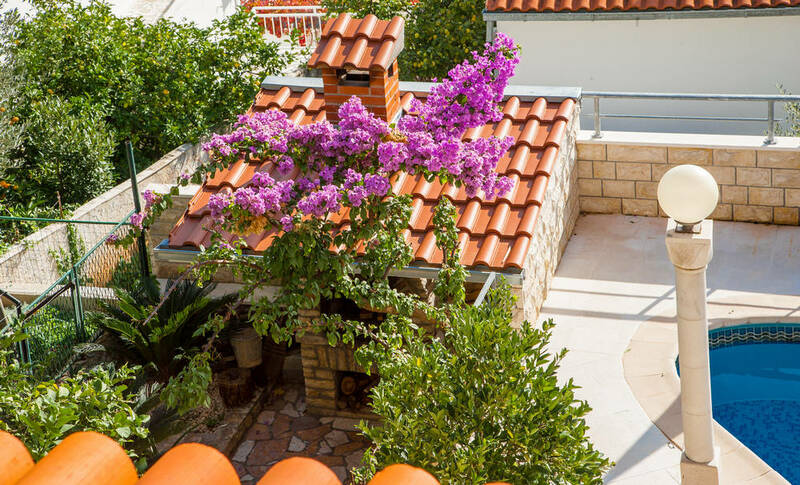 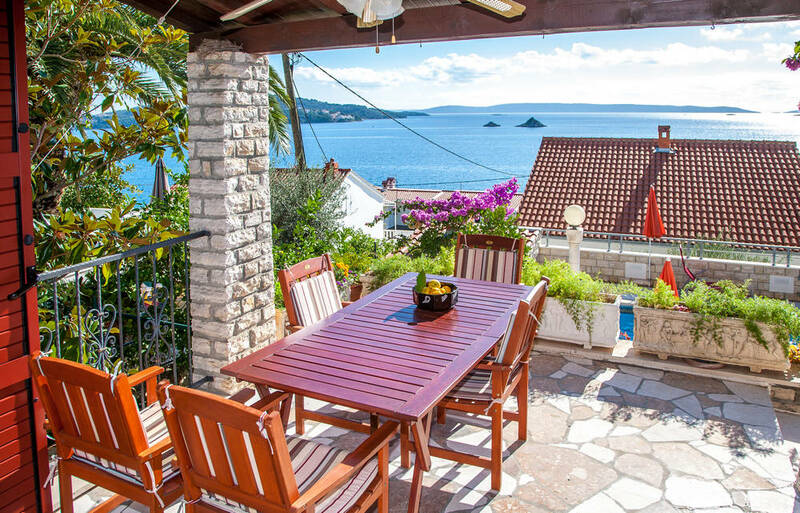 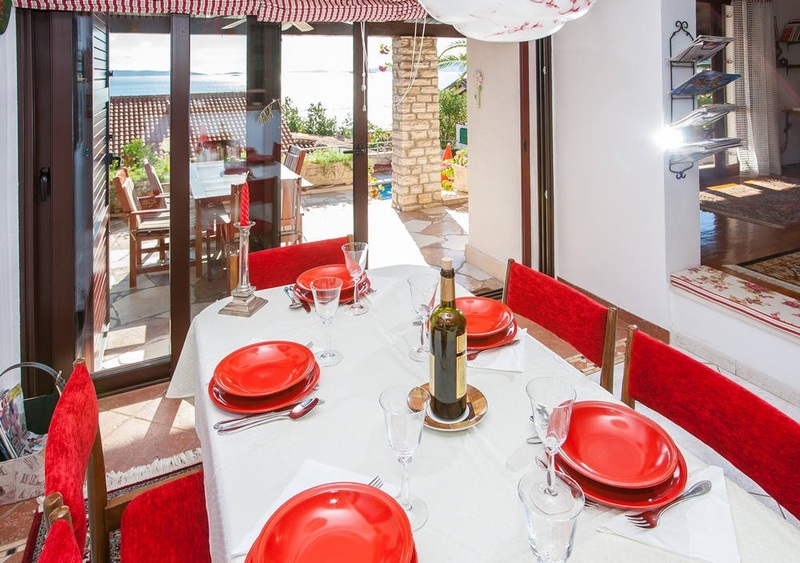 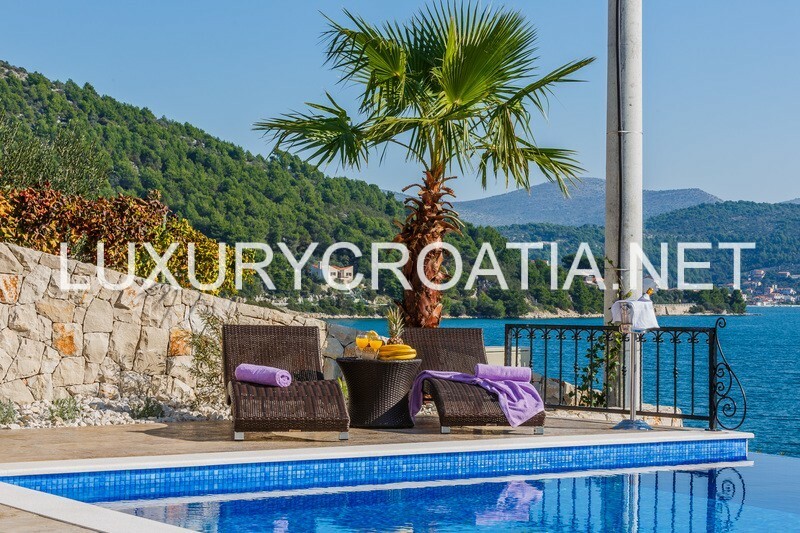 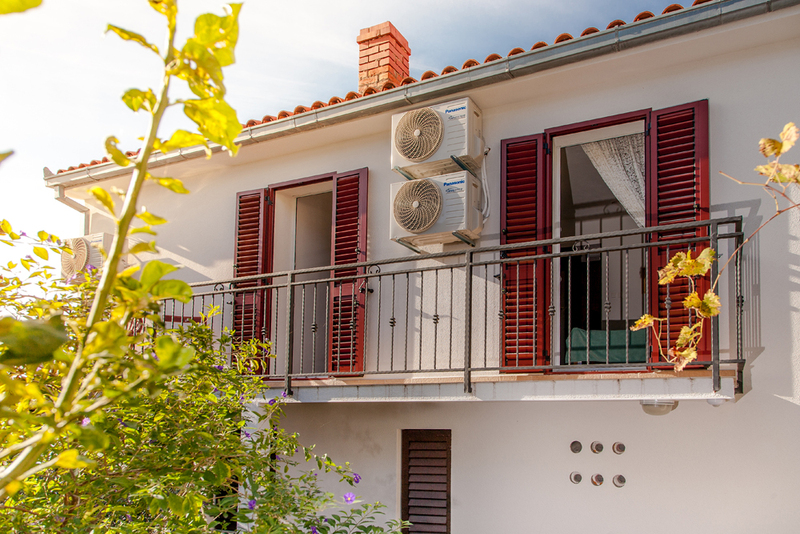 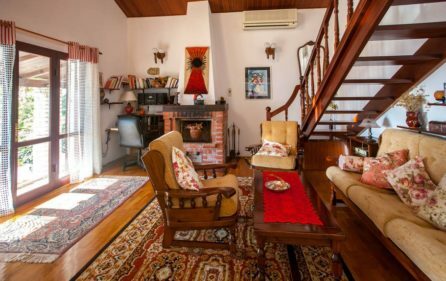 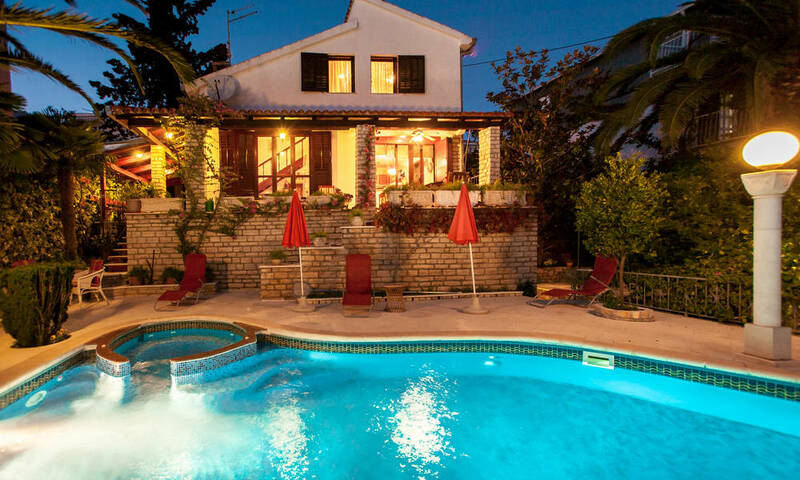 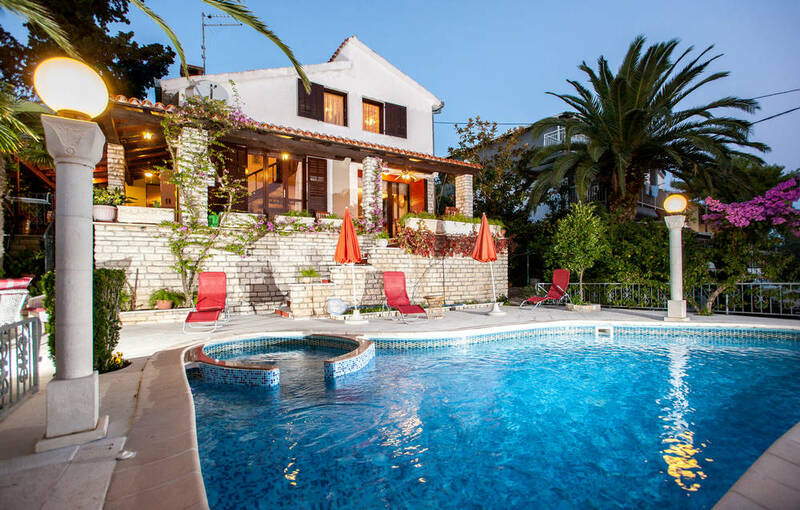 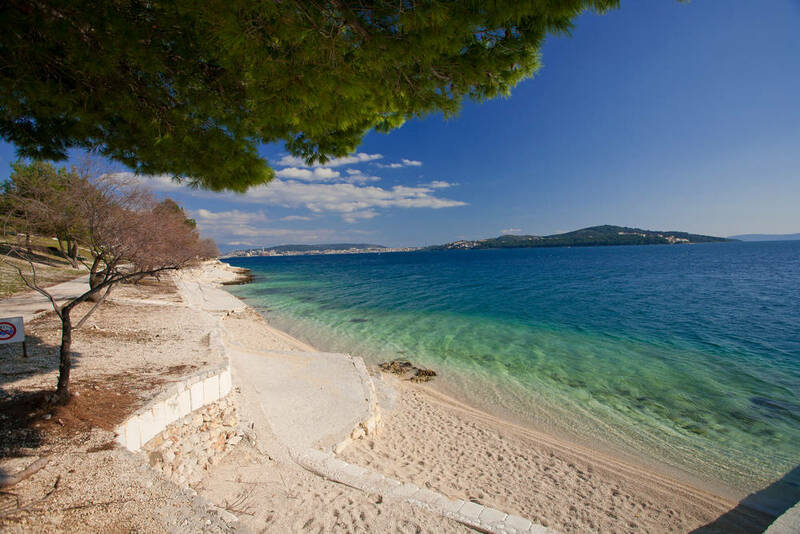 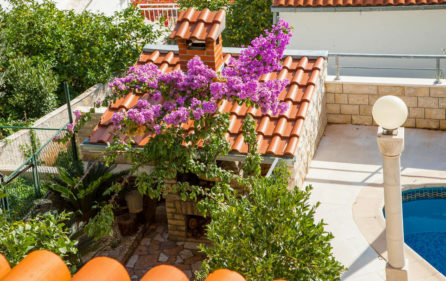 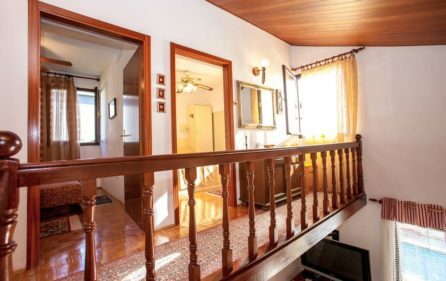 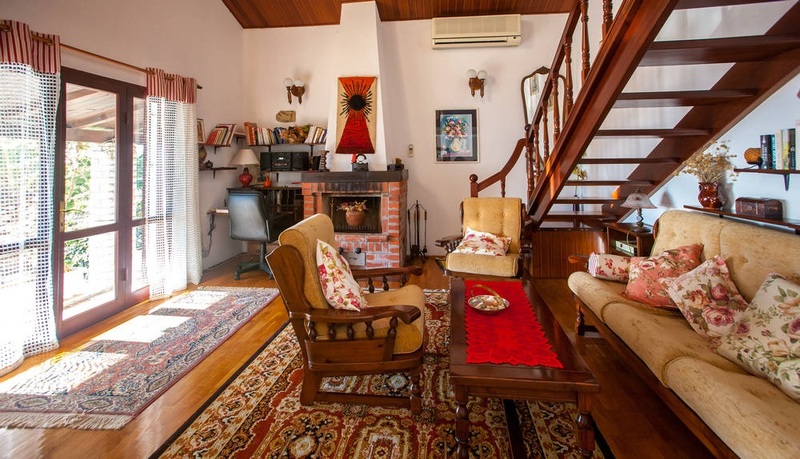 Villa is air conditioned and is also suitable for stay during the winter months considering that the weather conditions in this part of Dalmatian coast are very mild even during the winter. 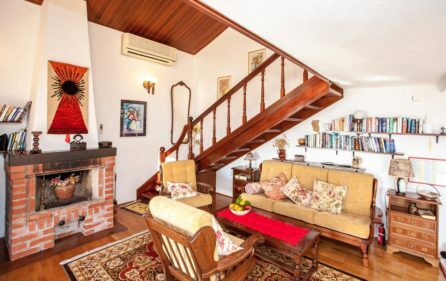 Fireplace will make for a beautiful romantic evenings. 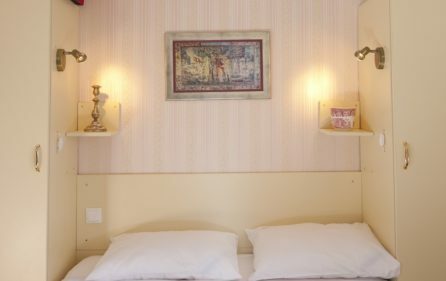 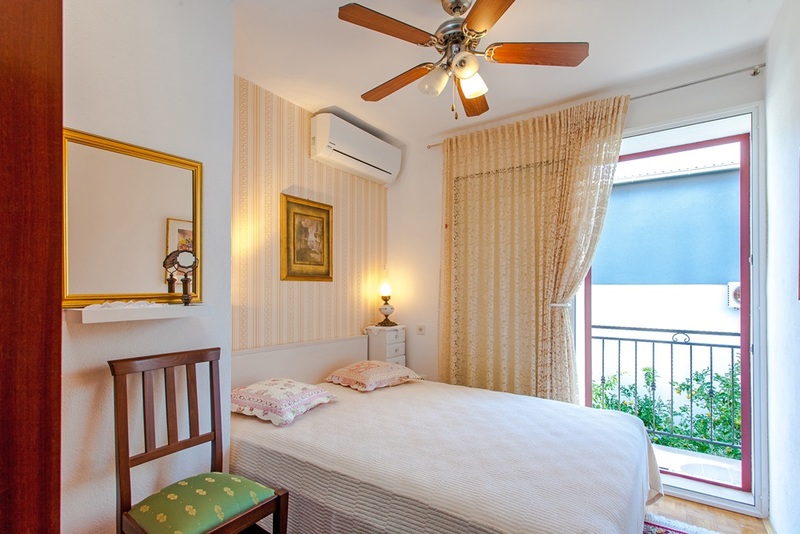 Baby cot and feeding chair is also at your disposal. 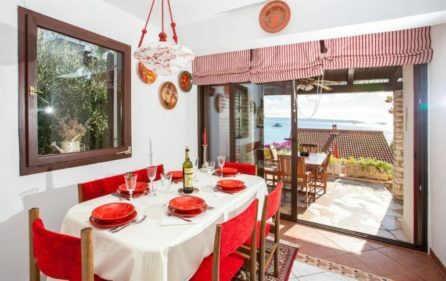 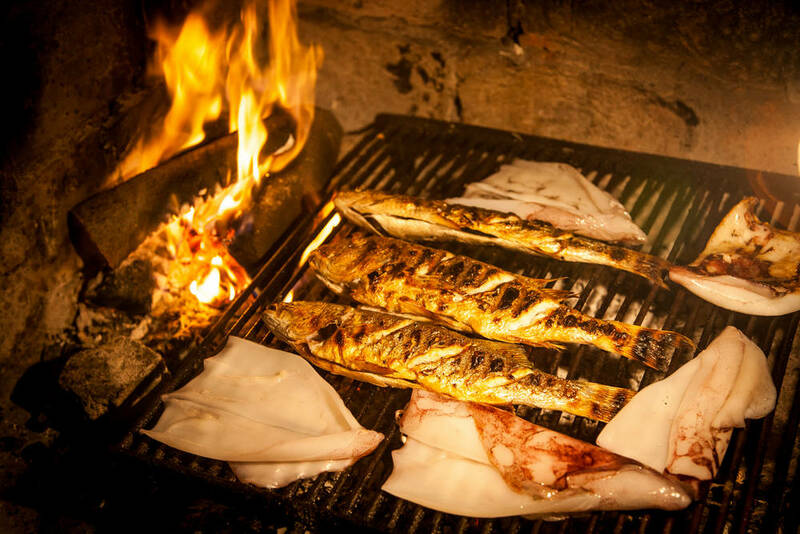 Two mini markets are located nearby and if you are not in the mood for cooking, there are 2 restaurants on the south side of the semi-island, within 5 minutes walking distance. 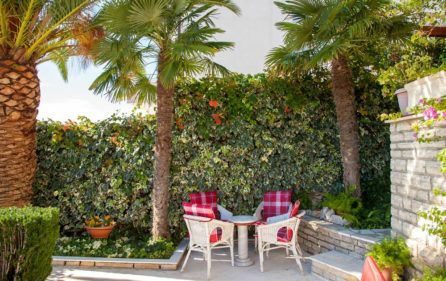 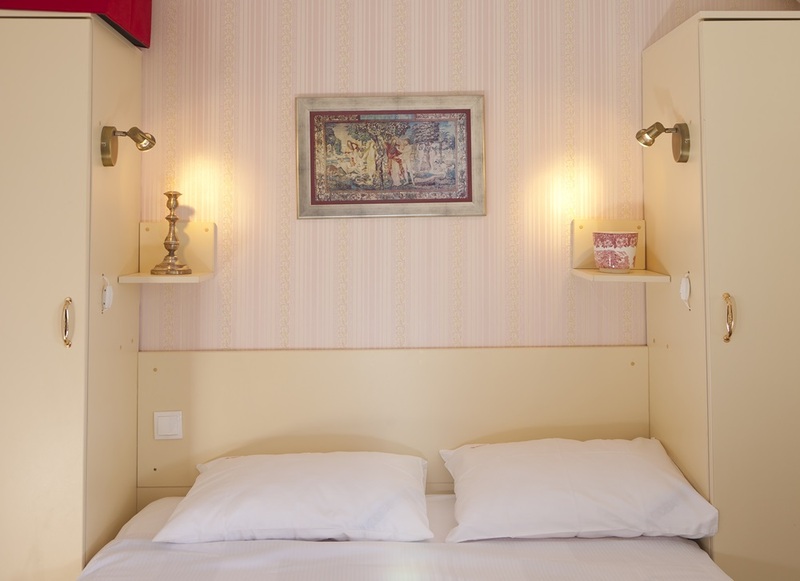 Nearby camping resort and hotel also have a selection of restaurants and live music. Near the house there are tennis courts for rent as well as an equestrian club in which you can rent out horses and enjoy the stroll through the nearby forest. 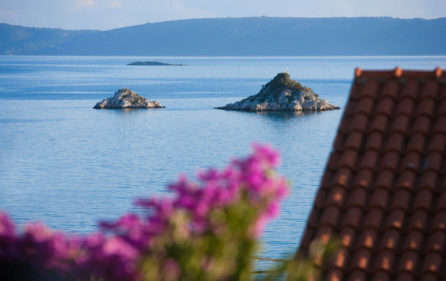 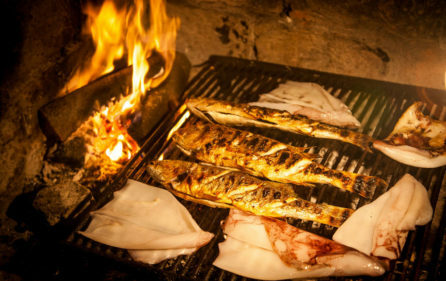 Daily trips are organised from towns Seget Vranjica and Trogir to the neighboring islands (Fish picnics). 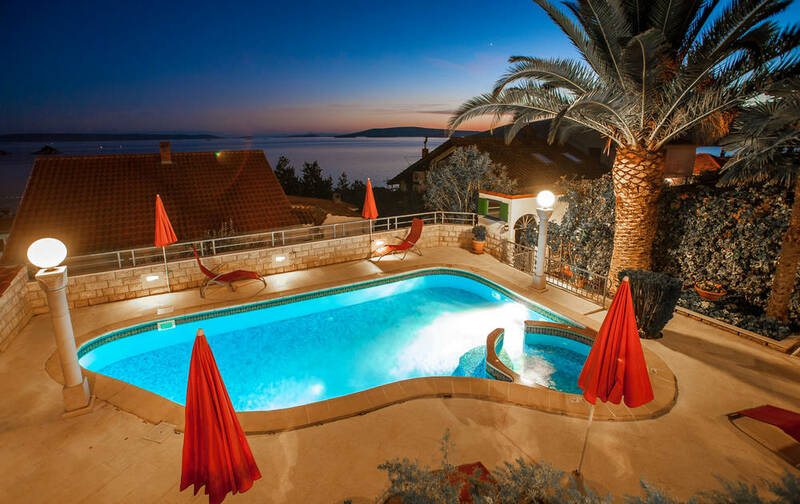 Trips to the Plitvica lakes, Krka waterfalls and to towns Primošten and Međugorje are one of the most memorable. 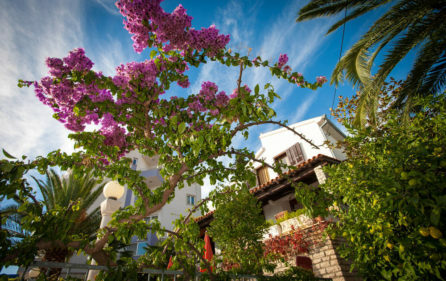 Tourist tax is included in price.